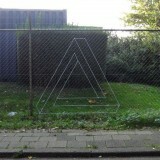 The Penrose triangle was first created by Oscar Reutersvärd in the 1930’s. 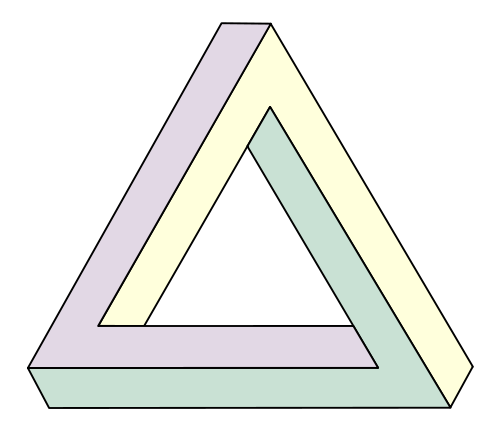 It is also referred to as the Penrose tribar or the impossible triangle. A figure of this shape could not possibly exist in the real world because of the way that it bends. 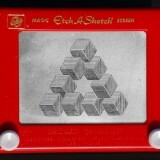 It is, however, possible to create an impossible triangle that works when viewed from one specific angle.